District wise Vacancy Position for TS TRT SGT Posts 2018. 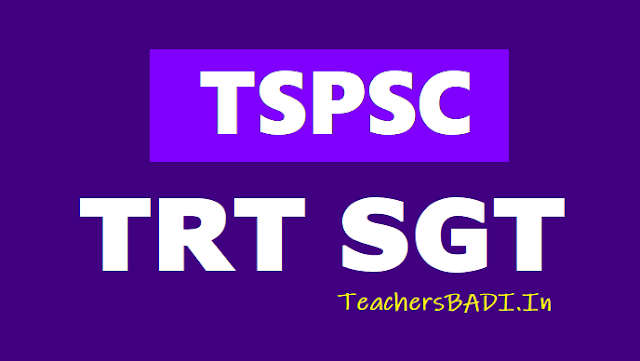 Break-up of vacancies for TSPSC TRT SGT Recruitment 2018, Detailed Vacancy Positions for TS TRT SGT Recruitment 2018 notification. TSPSC TRT SGT Results, Certificates Verification Dates,List of Documents. The Commission has now decided to host the break-up of vacancies for the posts of Secondary Grade Teacher vide Notification No.53/2017 depicting Gender wise UnReserved and Local categories. This will help the candidates in better appreciation of their respective positions in the pick-up list of certificate verification. As per the Presidential Order, 1975 the Local, Un-reserved ratio for district posts is 80:20 respectively. Among all notified vacancies the first 20% are shown against Un-reserved category in which there may be OC or may be Community vacancies.